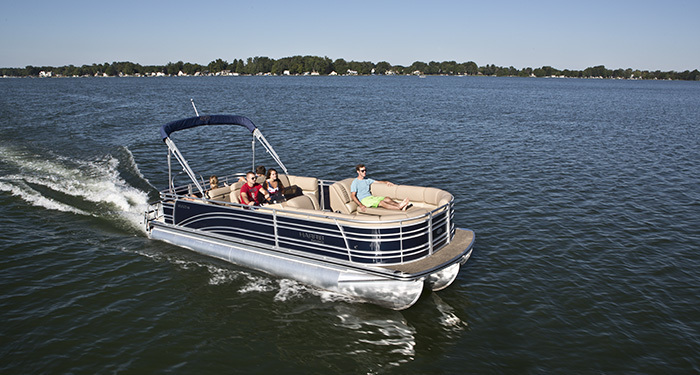 Think pontoon boats can't be an ultra-comfortable way to enjoy the water? Think again. If you think of pontoon boats more as redneck party barges than comfortable, relaxing boating platforms, well, it's time to change your way of thinking. 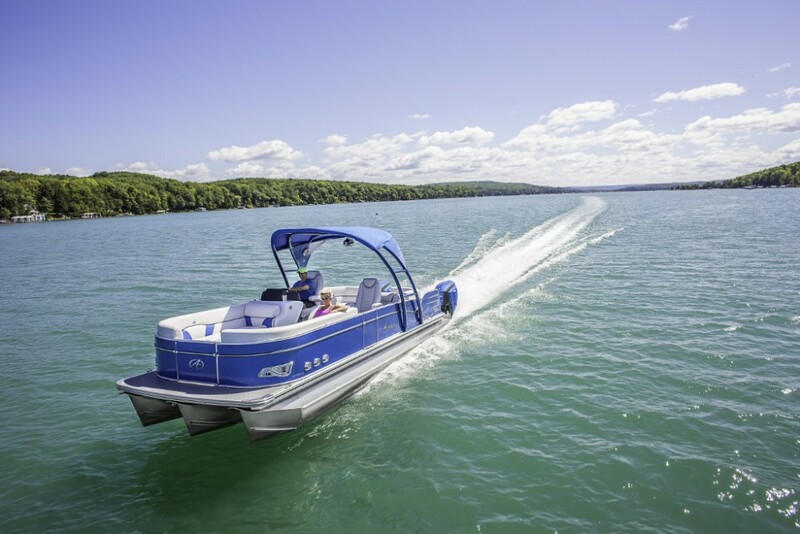 Today's modern pontoons can be equipped to the nines, with features such as joystick controls, proximity docking sensors, theater-quality sound systems, supple and buttery ultra leather upholstery and trim, touch-screen systems controls... the sky's the limit. Like most anything, the only limitation is your budget. Recently the boats.com review team and I headed to Lake Wawasee, IN, to spend a week filming some of the best of the best in the pontoon market. 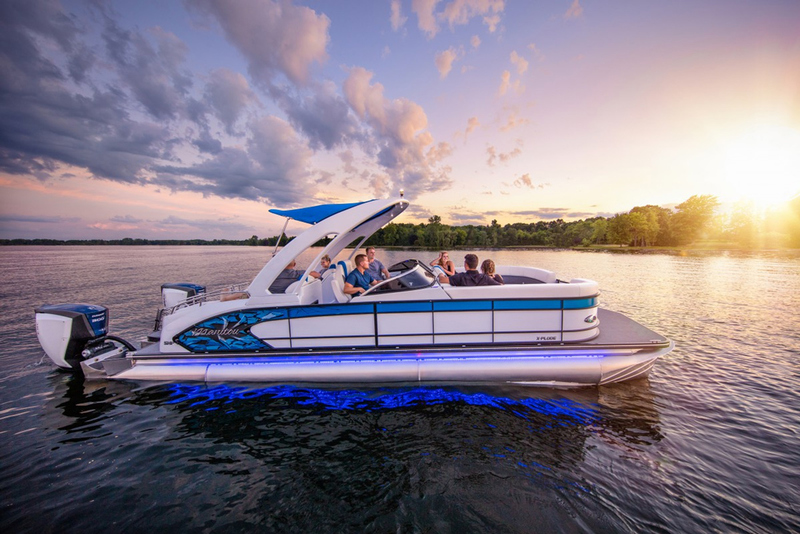 Manufacturers such as Harris, Aqua Patio, and Sun Tracker showed up with tricked-out pontoons designed to impress even the most discerning boater. Wow. 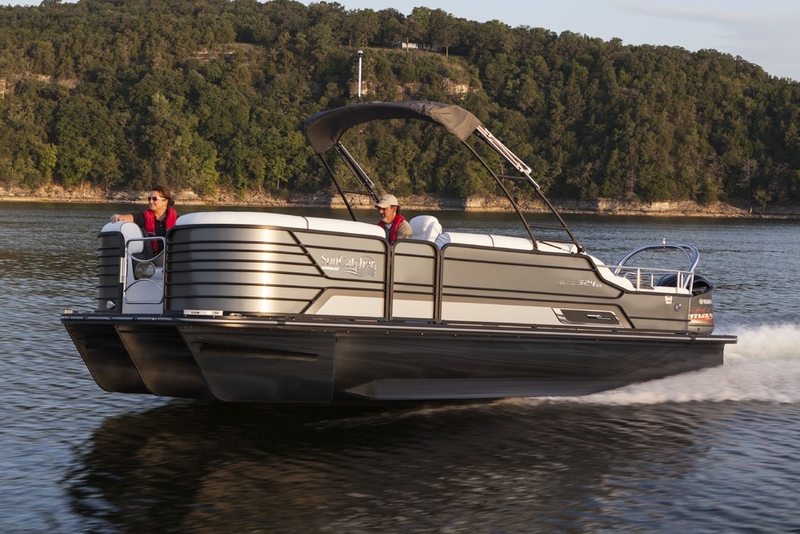 Full galleys with bar seating and barbecue grills, cushy and comfortable lounges and seating arrangements, 10-speaker sound systems by Polk Audio, and touch-screen systems displays that controlled all of the boat's systems and displayed engine performance. Talk about maximum relaxation. 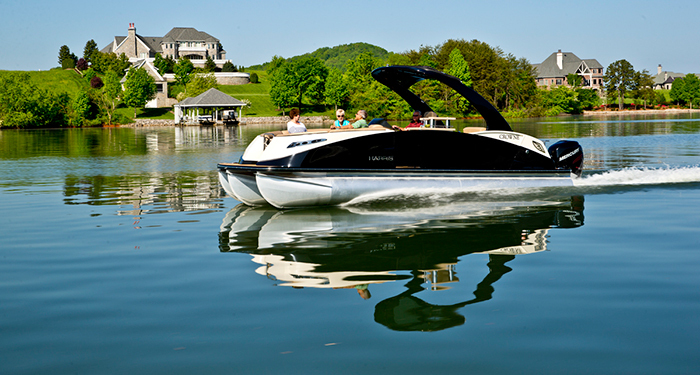 The Harris Crownline DL 250 is one pontoon that is packed full of luxury and amenities. 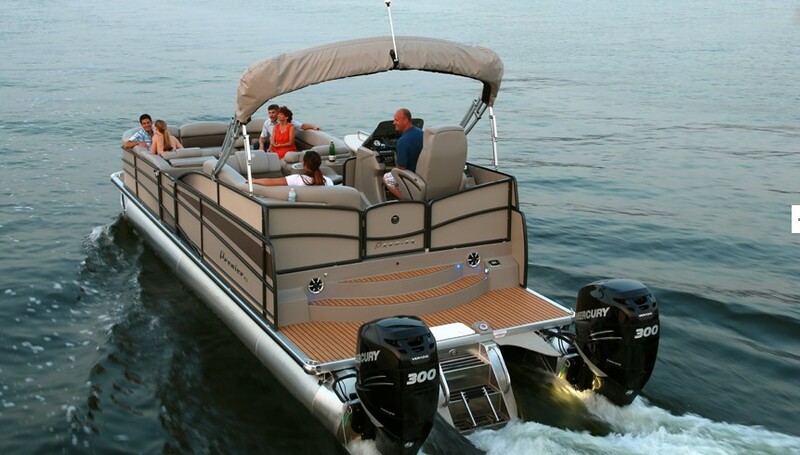 Looking for more pontoon boat fodder? 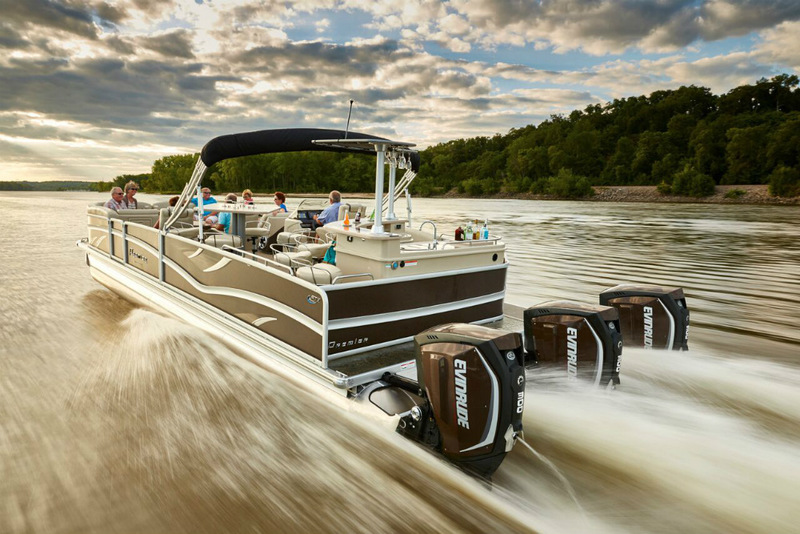 You might be surprised to find out that pontoon boats can be rocket-fast. 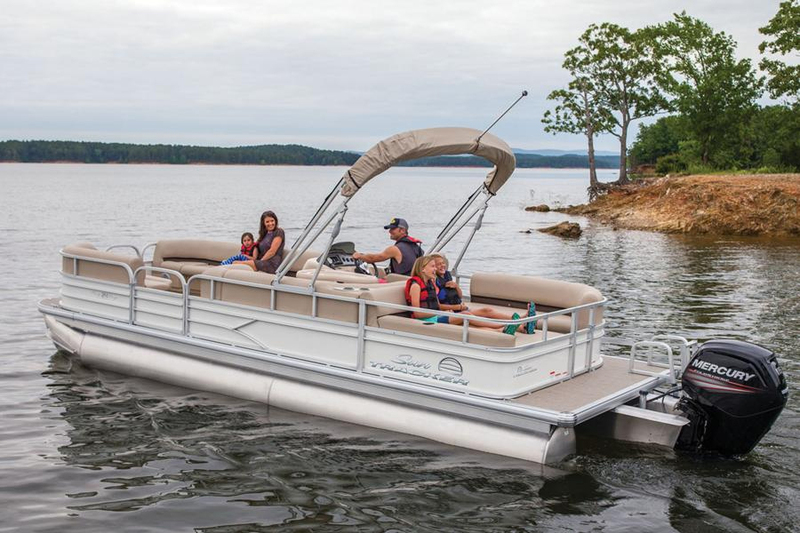 You can also get some tips on handling a pontoon boat, or read about 10 of our favorite pontoon boat models.